Submitted by Dette_McLoughli... on Sun, 31/08/2014 - 15:23. Jerusalem (AFP) - Israel announced plans on Sunday to expropriate 400 hectares (988 acres) of Palestinian land in the Bethlehem area in the south of the occupied West Bank, the military said. "On the instructions of the political echelon... 4,000 dunams at (the settlement of) Gevaot is declared as state land," the army department charged with administering civil affairs in occupied territory said, adding that concerned parties have 45 days to appeal. It said that the step stemmed from political decisions taken after the June killing of three Israeli teenagers snatched from a roadside in the same area, known to Israelis as Gush Etzion settlement bloc. Israel has named three Palestinians from the southern West Bank city of Hebron as being behind the murders. The Etzion settlements council welcomed Sunday's announcement, and said it was the prelude to expansion of the current Gevaot settlement. It "paves the way for the new city of Gevaot", a statement said. "The goal of the murderers of those three youths was to sow fear among us, to disrupt our daily lives and to call into doubt our right to the land," it said. "Our response is to strengthen settlement". 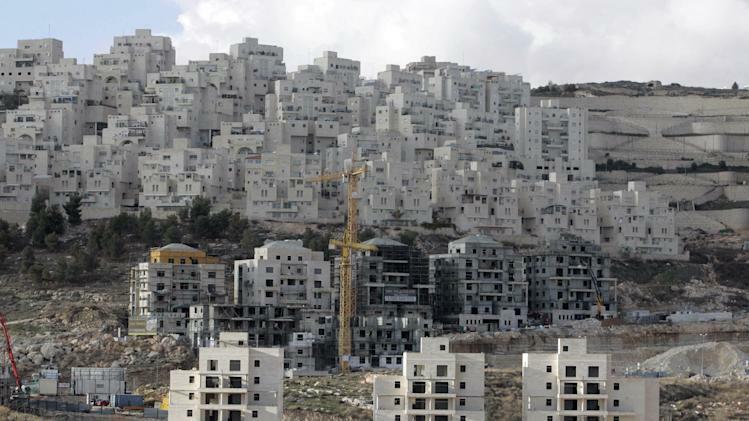 Settlement watchdog Peace Now expressed alarm. "Peace Now views this declaration as proof that Prime Minister (Benjamin) Netanyahu does not aspire for a new 'Diplomatic Horizon', but rather he continues to put obstacles to the two-state vision and promote a one-state solution. "By declaring another 4,000 dunams as state land, the Israeli government stabs (Palestinian president Mahmud Abbas) and the moderate Palestinian forces in the back, proving again that violence delivers Israeli concessions while non-violence results in settlement expansion," it said.